A couple months ago I was writing a proposal and needed to make a list of comparative titles. My first thought was to go to Amazon but it’s hard to find the Christian books among all the others on that huge site. Where else could I go? 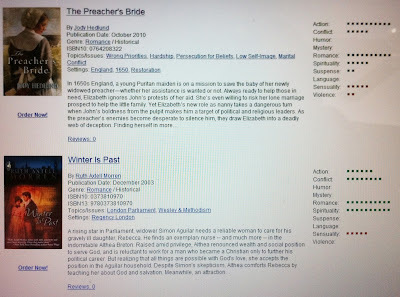 Then I remembered we have Fiction Finder as part of the American Christian Fiction Writers (ACFW) website. 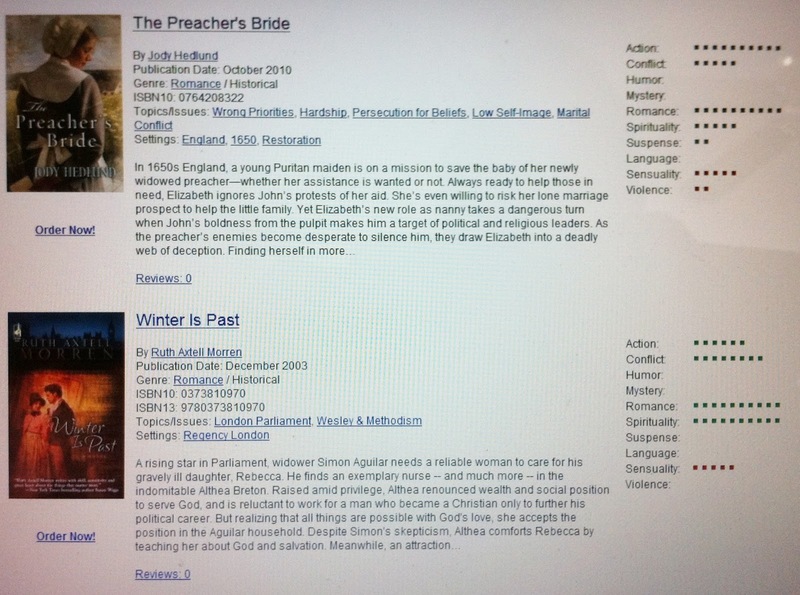 It’s a huge Christian book database where you can find books by author, genre, and content. This sounds like a fantastic resource, right? So why doesn’t everyone use it? I’m going to walk you through the Fiction Finder website and show you what I mean. For the purpose of this demonstration, I went to the home screen, and clicked on Books which took me to a screen of new and upcoming releases. On the left are some boxes to define your search. I clicked on Romance for the first one and General for the next. I then went to the top where it has a search box for Book Title/Author/ISBN but instead of filling it in, I clicked More Options. 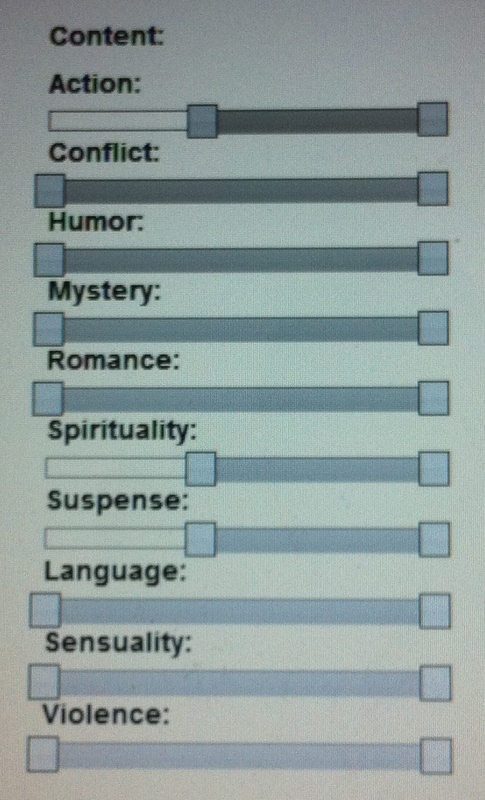 Since I wanted more books, I tweaked the criteria by not making Romance a requirement and choosing Suspense instead of Sensuality. This time 12 books came up. I was pleased when the first of those - MaryLu Tyndall's Surrender the Night - came up as one of my choices because it contains a whole lot of romance anyway. Surely there are more Christian books aimed at men? 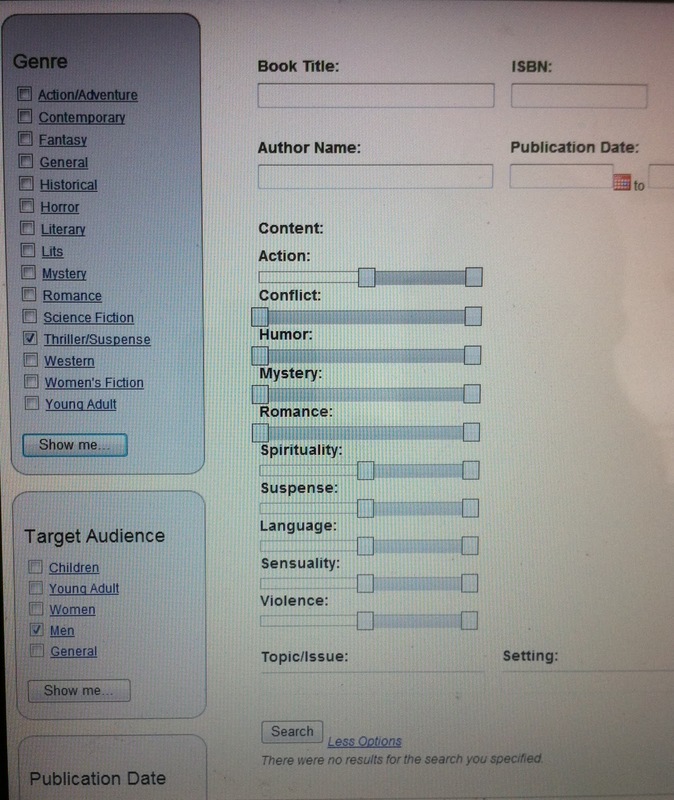 Is the problem that the authors aren't adding their books to Fiction Finder? Or is it because they aren't labeling them for men? In the listing for Jamie Carie's Wind Dancer, there aren't any Topics listed as there are in the examples I've shown above. Why? I know one Inky (waving to Dina) who is a dancer and would probably read the book just because the heroine "dances alone in the moonlight as a praise offering to God". The thing is, when I went back to find Wind Dancer, I couldn't until I deleted all choices and looked for the title alone. - As authors, we need to enter our books and as much information as we can. - As readers, we need to use the system and if we find any bugs and ways it can be improved, we need to contact the Fiction Finder developers. - Together, we can raise the awareness of Fiction Finder so that it's not a question of where to look for a faith-based book, but which book to read. Have you used the ACFW Fiction Finder? What did you think? Cool, Anita. I've never heard of Fiction Finder. Or if I have, it never registered. I'll have to check it out. I think it was announced at the 2009 conference but I haven't used it. This is a super 'how-to', Anita. Thank you so much! Looks like fun to play with! So true, Anita, I want to read Wind Dancer now. LOL. Deb's right, Suzie. It was during the closing remarks when Cara Putman made the announcement. And she was stoked about it! 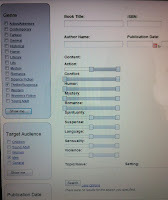 You can add the widget to your blog, too. 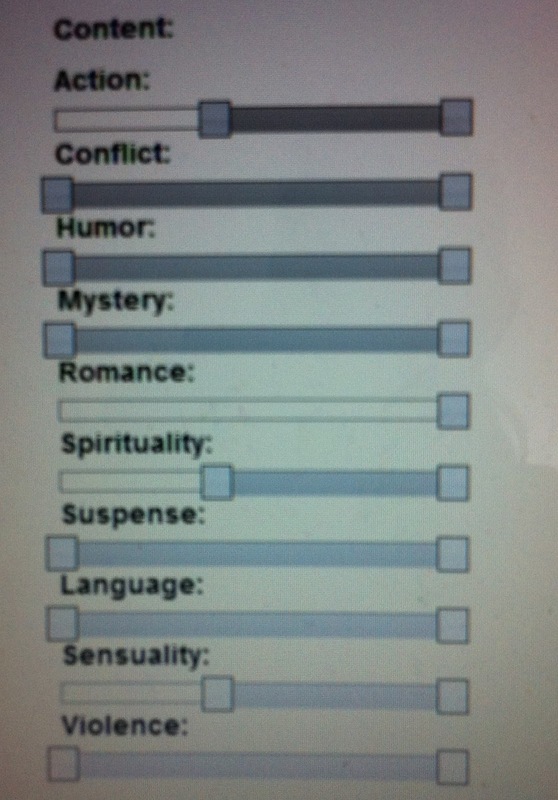 Yes, Fiction Finder is fun to play with. I found that if I didn't have the criteria slid over to the same spots, I'd get different results. LOL Dina. I wasn't sure if you'd read it yet. Ooh, Anita Mae. Why don't we go ahead and add the widget to our sidebar. Might as well direct people there if we can. Definitely a great tool for finding comparables. I think I did use it once. But haven't needed to since. An excellent idea for a post! Anita, I've used FF a few times. It didn't . . . well, I was frustrated with the results. My guess is it's because of what you mentioned: authors not including as much information as they ought to. Thanks for sharing how to use this and why its useful! Meanwhile, if you don't get desired results, let the FF team know. They can't improve what they don't know about. You're welcome, Carla. That goes for you, too when your books come out in 2012. We really need author participation. Fictionfinder is completely inaccessible to those of us using screen readers. Very frustrating. I can't get all my data put there. My titles are there, but all those lovely details you talk about aren't because I either have to pay someone or bug a friend to get them there. Neither seems like an option right now. I've spoken with the designer directly at conference in September. Nothing has been done about it. Needless to say, I'm annoyed. Only because Pam Myer is so kind were my books entered enough to get announced in the monthly releases. So, along with everything else, this site needs to be accessible. 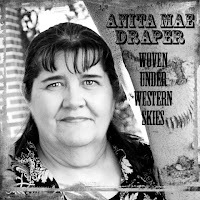 I may be the only blind published author in ACFW, but others will follow. I'm not the least surprised so few results were returned for men's fic. And yes, the search results are frustrating because often when this info is entered, it is entered incompletely. But I do know that the powers that be have mentioned repeatedly on the loop for authors to be thorough in their listings (and I have posted my own pleas on the subject). Fiction Finder can only be as good as the work the participants put into it. THe other future fix item is that reviews are limited to 200 characters. That's CHARACTERS not words. No decent sort of review can be posted in 200 characters. 200 words would be ideal. I don't know about you, but I'm not going to bother posting a review if I have to sit there and constantly rework my review to squinch it down to 200 characters (I tried once but it was such a pain I vowed not to do it again). When these things are resolved, it will be a great resource. I'm looking forward to seeing it grow. I'm with Gina on FF; I couldn't get much from it so I haven't been back since last fall. Interesting that it's the author's responsibility to represent everything in their book. Maybe FF needs a tutorial for authors on how to convey that properly. Very helpful posting Anita. I've got to go back and try to complete the data entry of my own book coming out. Like Dina, I'm a blessed writer to be with WhiteFire Publishing. And Dina's book is great. I've read it, and heartily recommend it. I can't wait until it comes out in print. Laurie Alice, thank you for speaking up about the deficiency. To be honest, I hadn't thought how it would affect a blind person as you weren't one of the authors I noticed were missing when I did my search. Perhaps they don't know how to solve the problem yet? I've advised them of this post and I hope they'll see the questions raised here. Other than contacting them, all I can suggest is that everyone pray for the software designer and that a solution will be posted on the site soon. And if you need physical support, I'll go on strike with you at the next ACFW conference to raise awareness of the problem. I really appreciate you sharing your concern. Thank you. Hey BK, thank you for mentioning about the reviews. One of the points I forgot to make was that there were hardly any. And no, I haven't submitted any so I didn't know the 200 character rule. Like I said, I plumb forgot about the site until I needed it for my proposal. It sounds like they're looking for a short 'I liked this book' 'I hated this book' etc kind of thing. I have problems posting my reviews on CBD.com because I tend to explain the characters and plot. But if all that's done, why do it again? I'm not a techie so I don't know if the problem is space and costs. I do know that it costs less for a smaller site which could explain their reasoning. I sure wish someone from Fiction Finder would show up and explain their reasonings. An excellent point. Thanks for sharing. But then, a tutorial could also be part of the Fiction Finder site itself - much like the ACFW's formatting tutorial for submitting to the Genesis contest. Hey Christine, congrats! I remember reading that but can't remember if I congratulated you. So many people I know have rec'd contracts in the past few months... it's so encouraging. Yes, please add your information into Fiction Finder. For all its faults, I believe the more we use it and offer suggestions, the better the chance for improvement. Maybe the reason it isn't better than it is, may be related to one of the following factors: we don't know who to tell if ther's a glitch; it's not inclusive of all C-fic, so maybe some potential users don't bother looking there when they hunt for new readin material. Just some thoughts.